Everyday Underwear: Wednesday Woo-Hoo: Syndicated on BlogHer! Wednesday Woo-Hoo: Syndicated on BlogHer! Well, this week has certainly been one to Woo to the capital Hoo! By the way, happy 4th to everyone! Hope everybody has a safe and happy holiday. My husband and kids get the day off from all activities and work, so it will be a hump-day off for all of us. No alarm clock! Woo-Hoo! I got confirmation that my work has been accepted for/will be published in a book. I can't talk about the book yet, but it's a very exciting opportunity for me to get some "street cred," I like to call it. The way it happened was unbelievably cool, too. You, as writers, know how difficult it is to make it as a writer. To be truly effective and get your work noticed, you have to be out there networking, researching, and utilizing every resource to promote yourself - all while not ticking people off in the process. I have been working my buns off with my writing pursuits and every spare second is spent doing something related to writing. So I said a little prayer the other night, "God, bring an opportunity to me. Then I'll know it's a God thing." No sooner had the prayer been sent up and I noticed a comment thread on a popular networking site asking, "How do you write funny?" I commented that I believe honesty is appreciated in humor writing and that I had made someone spew coffee with one of my posts. Someone shot back almost immediately with, "Can I take a look at that piece?" I shot the link off and the reply that came back nearly floored me. "I just happen to be doing a book on that very subject. I like the piece. If my partner likes it also, we might be able to use it in the book." God? Really? Really. Really!!! Yes, really. And my piece was chosen despite another "that can only be God" obstacle. It was pretty dang cool. Word! That right there is a big enough Woo-Hoo, but then I had another Woo-Hoo slap me upside the head. 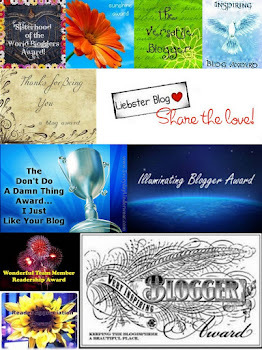 I got an e-mail out of the blue that one of my posts that you all know and love, the Don't Do a Damn Thing Award was chosen to be syndicated on BlogHer! You could have knocked me over with a feather. I literally screamed at the computer as though it had attacked me. I was so shocked that it took me nearly an hour before I could respond to the e-mail and you could not have wiped the big, fat, juicy grin off my face with a ShamWow. Just in case you're a blogger who lives under a rock, BlogHer is "the largest community of women who blog: 40 million unique visitors per month." To say that I am flattered is an understatement! It may be old hat to you and perhaps you've had pieces syndicated on BlogHer many times, but I have not. I just started submitting my work recently, so I was shocked to be selected so soon. I'm a nobody (and I don't mean that in an, "I have no self-esteem" way, but really, I just started out!) so I can't wait to see what those two things mean for my writing career. I will be promoting that link on 7/12/12 when it goes live, plus I get to put the bling badge on my blog so I can show that I have been syndicated on BlogHer. I want to put it on there right now! Patience... I need patience. Patience is a virtue... ACK! So excited! Also, don't forget that I have a guest post going up on Rachel Thompson's site, RachelintheOC.com on 7/8/12, which is this Sunday. Rachel is the Amazon Bestselling author of A Walk in the Snark and The Mancode: Exposed. I consider it a great honor to call Rachel my writing friend and am so thankful that she has taken this little bird under her wing. Again, I'm excited to see what her promotion of me does to my little old bloggity-blog. Rachel is gearing up for her nonfiction essay collection, Broken Pieces, a departure from her humor writing. In that vein, she is requesting that people guest posting on her site dig deep and she asked me for a serious piece. So I gave her one. Oh yeah, I can be serious, too. You will be surprised! Disclaimer: Don't read it if you don't want to know disturbing personal facts about me. Oh wait, you read my blog, so you already do... ;0) I hope you like the piece. Rachel is also working on Chickspeak: Uncovered, part 3: The Chronicles of Snark (obviously humor). Well, that's all for now, folks! Woo-Hoooooo to youuuuuuu! Glad you commented, Kimberliah! I couldn't find your new blog until now ;0) And no, I will not forget the little peeps and will always remain humble, sort of, ha ha! Cindy, from the short time I've visited your blog, I'd say, well deserved on both accounts. WTG and Thanks to God! Aw, thanks - you're making me blush! That's fantastic Cindy! 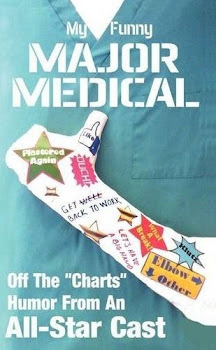 Good for you and I will look forward to reading your guest blog and find out more about this book you'll be in. Prayers answered!! Holy shiznit Sister! I am so friggin excited for you! Thatis BEYOND awesome!!!! (Oh, and I may be stalking you for tips and pointers...*grin*) Big hugs and many congrats! I am so happy! You are my role model Cindy!! Yay!! Congrats all the way around!! Thanks! I'm still all giggly about it all. And you are one of my biggest fans - proven, because you're #2 on the Top Underwear Commentators list in the sidebar, LOL! Eeks! I'm so excited about all of it! Yay! Wow, Cindy, congratulations! I guess, "If you work it, they will come." 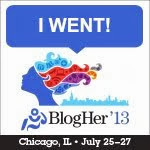 Go go go - maybe you can give me a guest post someday on how to get into BlogHer and Other Adventures. I am working my tail off day and night! I am definitely putting in my dues. If I become a famous writer, I will know that I worked hard to earn it. And if you are serious about the guest post, message me on Facebook and my people will talk to your people (in other words, you and I will nail it down). Cindy, that's all fabulous news! Well deserved. Congratulations. I hope you ended up enjoying your grin for all it was worth instead of trying to wipe it off with anything. Thank you so much! The grin would not come off if I tried! That's awesome! Your posts definitely convey infectious humor and enthsiasm and I always look forward to reading them! Thanks! I have more Woo-Hoos this week - it seems to be a season of abundance for me ;0) HAPPY DANCE! Wednesday Woo-Hoo - Oh mah gah, it continues!